What do the Nokia N8, the LG Optimus 3D, the HTC Droid Incredible, the HTC Desire S, the Motorola Atrix 4G, the Samsung Galaxy Tab 10.1 and more than 500 other devices have in common? They all use Corning’s incredibly tough Gorilla Glass to cover their screens. 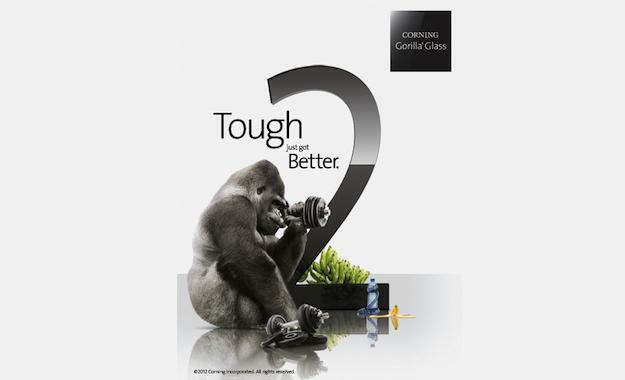 Hailed as a “tremendous success” by the company’s senior vice president, Gorilla Glass can currently be found on 575 products from more than 30 different manufacturers, and Corning is now gearing up to introduce Gorilla Glass 2 at CES 2012. Corning says it’ll be giving CES punters the chance to test out Gorilla Glass’s ability to withstand damage, plus they will also be showing off an 82-inch touch-controlled prototype television, touch-sensitive home appliances and car interiors, and even a set of Gorilla Glass speakers. Make sure you take a look at this fascinating video from last year, which showed Corning’s vision of the future that included several of the concepts mentioned above.